 PITTSBORO, NC – March 18, 2019 – On Thursday, April 11, Chatham Economic Development Corporation (EDC) and the Chatham Chamber of Commerce will co-host a joint meeting of the Chatham County Board of Commissioners, the town boards of Siler City, Pittsboro and Goldston and the Chatham County Board of Education. The meeting is scheduled for 5:30 to 7 p.m. at the Chatham County Agriculture and Conference Center, located at 1192 US 64 W in Pittsboro. Amanda Hoyle, Regional Director with Metrostudy, will give a presentation on the local and regional housing market. Prior to joining Metrostudy’s Raleigh office in 2017, Amanda spent 16 years as a senior writer and reporter responsible for the coverage of residential and commercial real estate in the Triangle-area market for Triangle Business Journal. Each elected board will have an opportunity to share updates at the meeting. The meeting is open to the public. For more information, contact Alyssa Byrd, President of Chatham EDC, at 919-542-8274 or Cindy Poindexter, President and CEO of the Chatham Chamber of Commerce, at 919-742-3333.